An Essie nail polish I've found myself reaching almost constantly the last few weeks is Cocktail Bling. It's somewhere between a grey and blue with a purple tint to it. 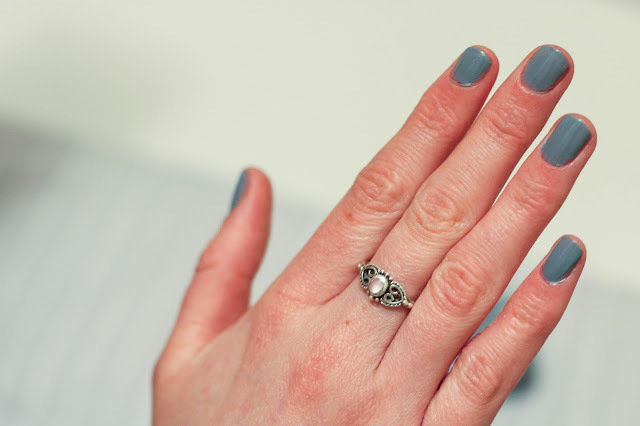 I love this shade because it's so neutral so you can wear it, with whatever, whenever. Yet, although it's a neutral shade, I it's still an interested colour, because it's a shade somewhere in between colours which you don't often see - it's nail colour unlike any other I own. It's isn't too dark, it isn't too light, it isn't too dull, it isn't too bright. 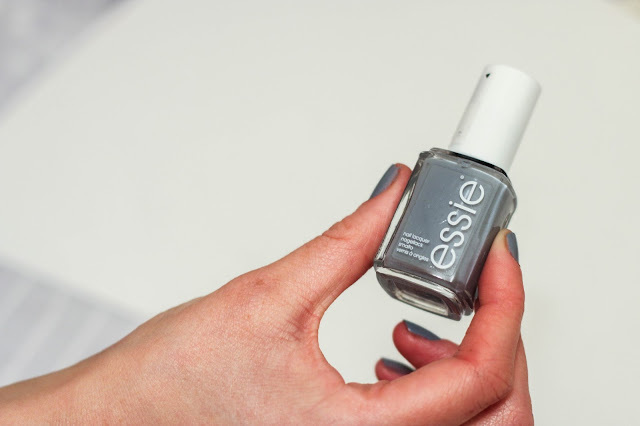 I've found this to be a very easy to wear sophisticated shade, and although they chip a little more than I would like, I do love the Essie formula, they're affordable, I find them easy to apply and you usually only need a coat or two. I'd recommend giving this one a go.